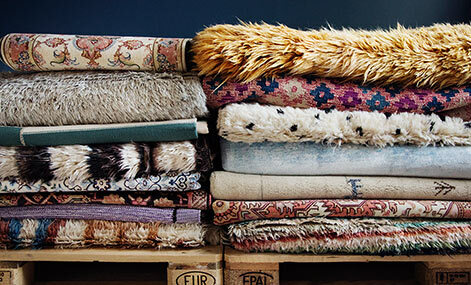 Synthetic wool (Polypropylene) is made up of tightly twisted yarns in that give the rug a lively lustre. Polypropylene is an environmentally friendly man-made fibre. Polypropylene has a high resistance to wear and can withstand heat well. 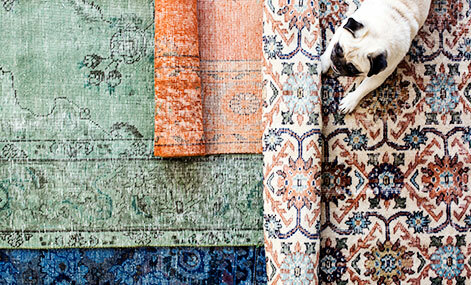 Rugs produced using polypropylene are ideal for people with allergies to, for example, natural materials. The material is antistatic which means it does not shed fibres or attract dust and is easy to clean. The rug also has details made of polyester with a silky smooth surface that gives extra life to the pattern. 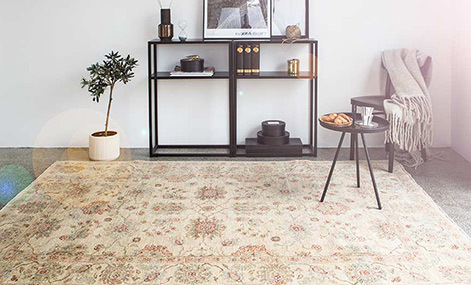 The motives in these beautiful machine knotted rugs have clearly fetched their inspiration from traditional Persian rugs. 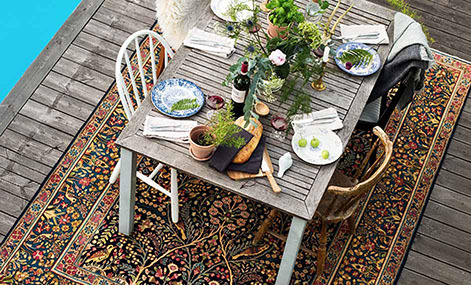 The result is a rug that fits easily into both modern and more traditionally decorated homes. 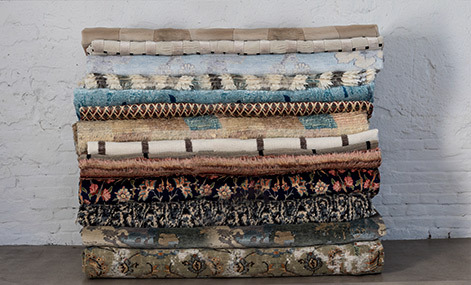 The pile of this Oriental rug consists mainly of a synthetic wool material with tactile characteristics. It also has details made of polyester with a silky smooth surface that gives extra life to the pattern. 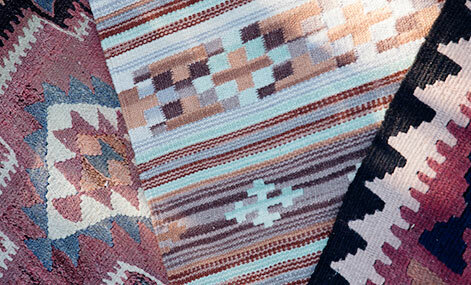 The end result is an exclusive looking rug that is soft and comfortable to walk on. The rug has a cotton warp which makes it stable and durable and a thin layer of latex on the backside to improve safety and prevent the rug from sliding around.